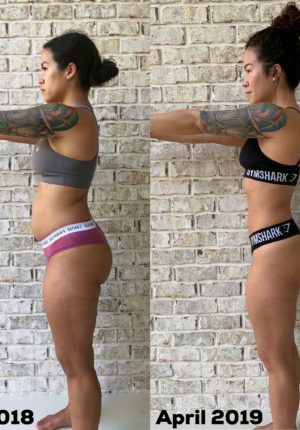 This post is sponsored by GNC Earth Genius, however I am sharing my thoughts. All opinions are my own. The US Food and Drug Administration has not evaluated the statements in this post. These products and statements are not intended to diagnose, treat, cure or prevent any disease. Vitamins, minerals and nutrients play a vital role in our lives, but most of us rarely meet the daily requirements due to what we choose in our diets. This is why supplements are such a smart idea for sneaking in what we need while covering our bases to ensure that we are as healthy as possible! Last fall, I introduced the new GNC Earth Genius line with you all and why I loved it. 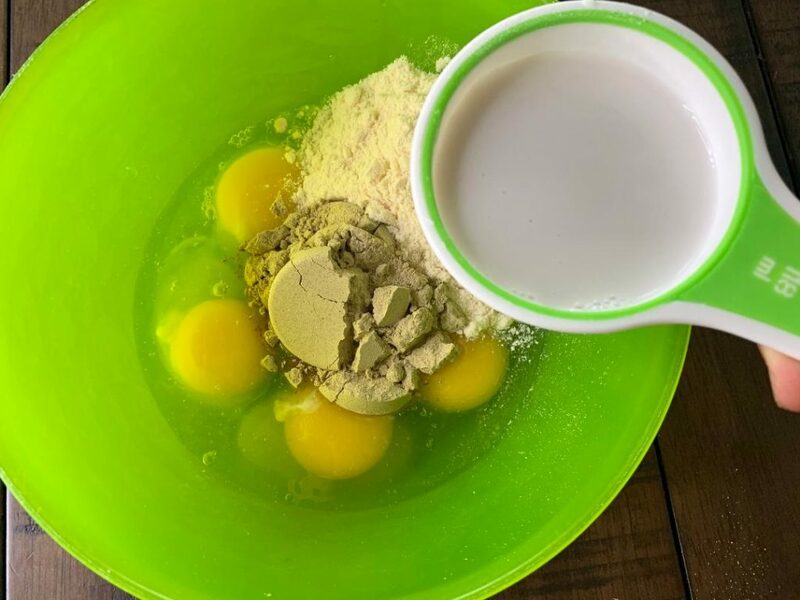 Now, I am back to share with you how you can make any recipe more “genius” by adding in the key ingredients from the line. The entire line is oh so good for you and is non-GMO/gluten free/no artificial color, flavors or sweeteners. 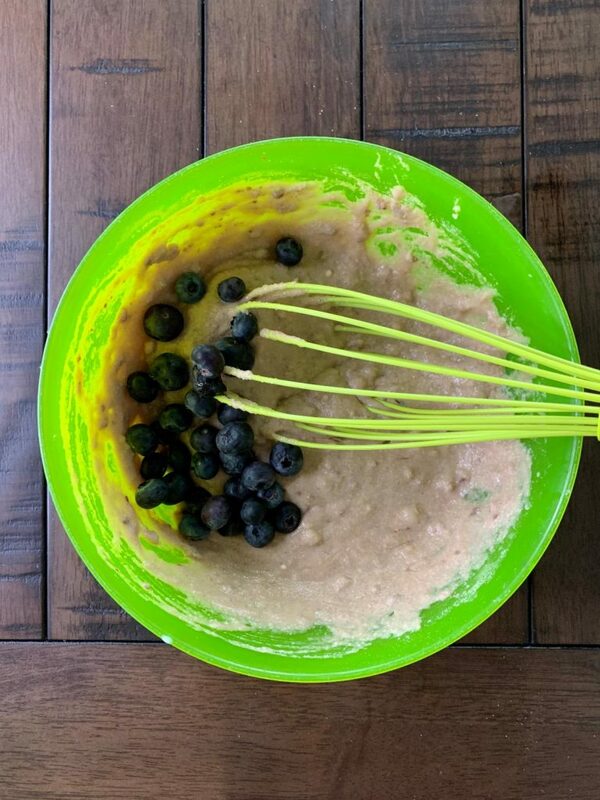 Today, I will be showing you how to jazz up your classic breakfast pancakes with the help of GNC Earth Genius™ Superfoods Supreme in mixed berry flavor. This is my favorite supplement from the entire line! I am guilty of not eating all of the nutrients, vitamins and minerals that I need in a day so I am excited that something like this exists to add some nutrition to my diet. The SuperFoods Supreme is a wholesome blend of fruits, veggies, greens, mushrooms & sprouts plus protein & fiber. 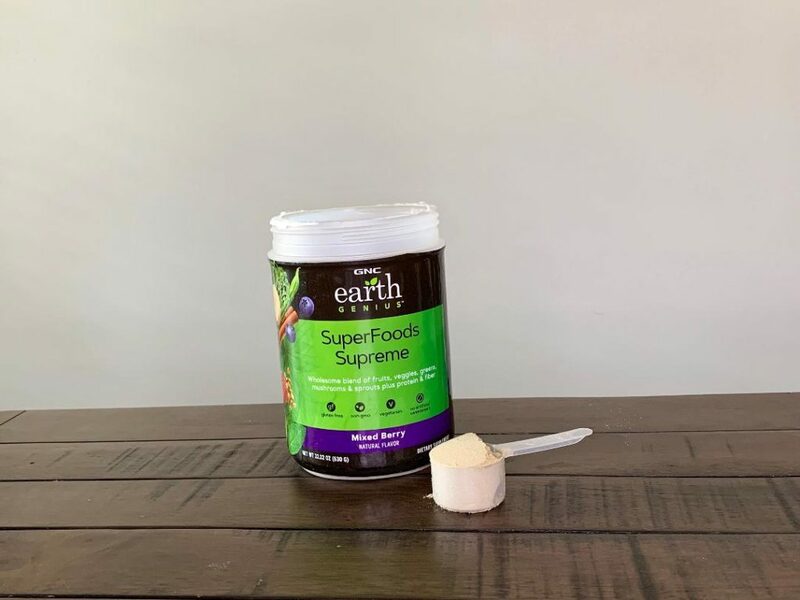 Superfoods Supreme is enhanced with a rejuvenating blend of adaptogenic mushrooms and is an easy and delicious way to add nutrition to your diet, not to mention enzymes to support digestion as well as 6g of plant-based proteins. It has everything you need to start your day off right! So, who is ready for some pancakes? 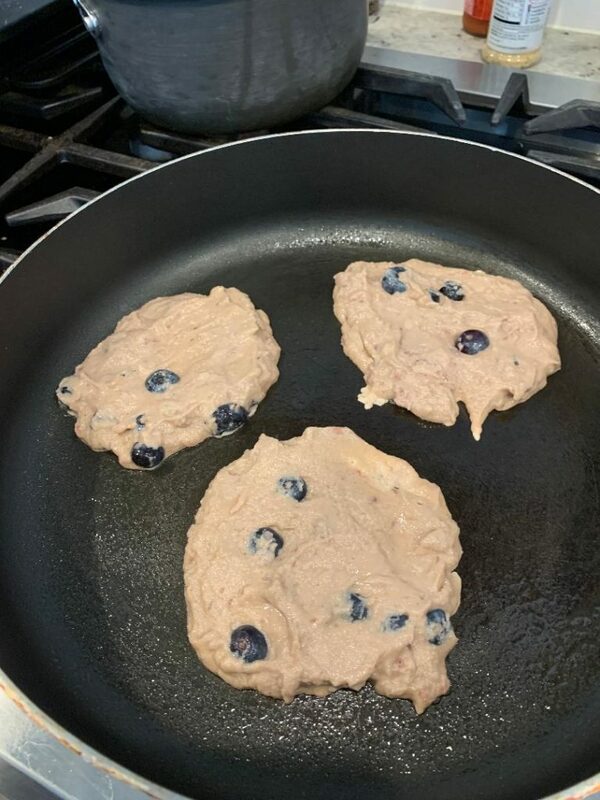 In the image above, I have compared your typical buttermilk pancakes with maple syrup to mixed berry superfood pancakes with berry compote made with GNC Earth Genius™ Superfoods Supreme. 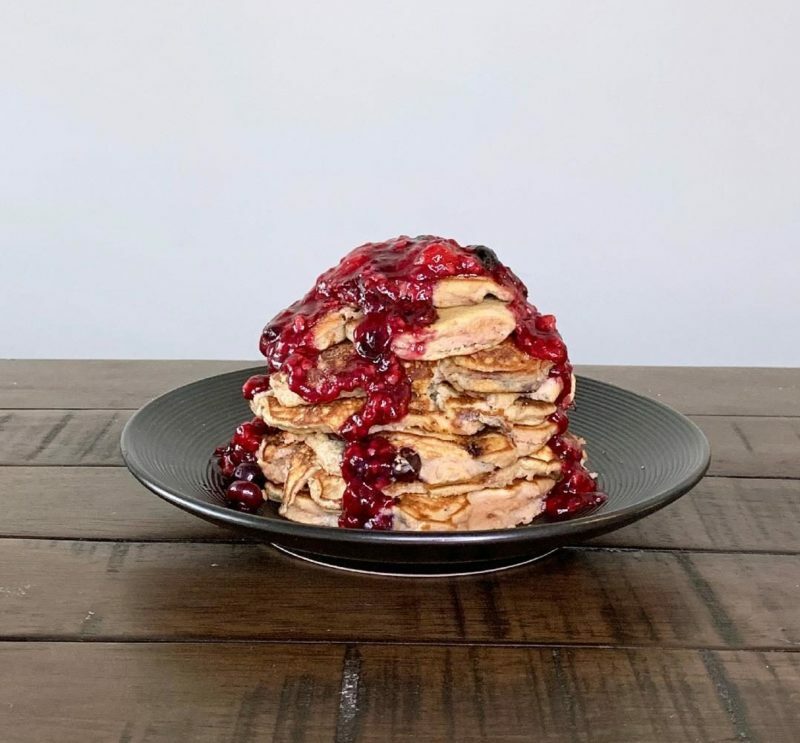 Pancakes are absolutely amazing, but they can truly take a toll on the waistline depending on how you make them. Traditional pancakes are made with flour, milk, sugar, butter, and of course the syrup. 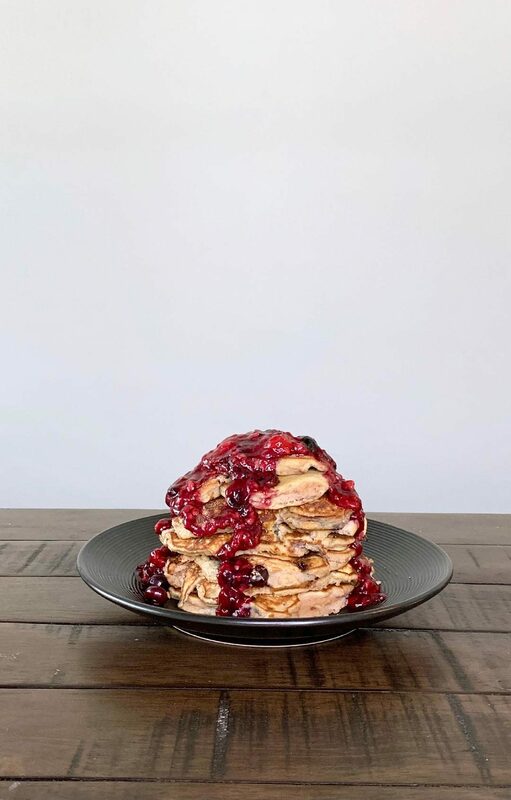 However, my mixed berry superfood pancakes are gluten-free and made with smarter ingredients that you can actually use to better your health and body. Here is how you can make your own! Preheat skillet and grease with coconut oil. Pour into hot skillet and cook for about 4-5 minutes or until bubbles form, then flip and cook for a minute or two or until done. Serve with Mixed Berry Compote instead of syrup. Cook over medium heat about 5 minutes. 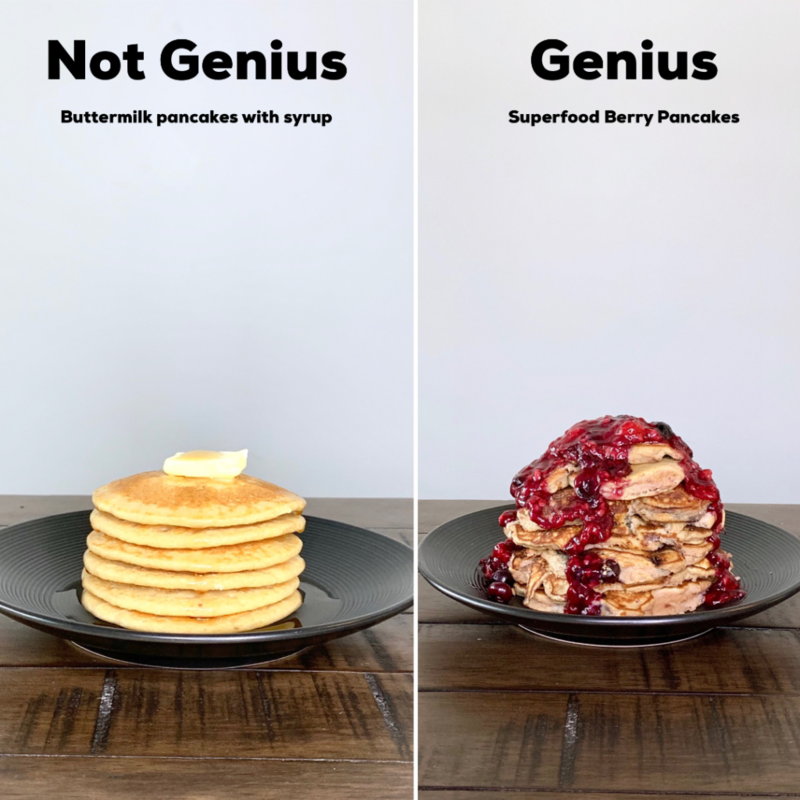 As you can see, it is so easy to incorporate Earth Genius into your daily life, especially when it comes to making your meals more “genius.” Click here and shop all GNC Earth Genius products (including Superfoods Supreme) online or in store.